The misery of an IT band problem can dog a runner for a long time. Since the knee pain often doesn’t kick in till you’ve run a few miles, you go out the door with hope in your heart day after day, only to have your it dashed at mile 5 or 7 or whatever your threshhold is. It’s can feel like Charlie Brown hoping this time Lucy will finally let him kick the football. I’ve written about the problems with ice and anti-inflammatories elsewhere, so if you haven’t read those posts definitely go take a look at them. I’ve also written about core stability extensively; you can catch up by starting here. Let’s look at what foam rolling, stretching, and orthotics accomplish. Often these are the things that seem to help a bit, without getting you all the way better and taking a lot of time and, in the case of orthotics, money. In ITB syndrome, the IT band, a tough band of connective tissue running down the outsides of your legs from hip to knee, gets very tight and tender to the touch. Stretching it or applying pressure can be agony. Yet afterwards you feel a bit better, at least for a while. The tension in the band is eased and your knee feels better. Why is it tight in the first place? The answer is that it’s tight because it’s trying to do its job under difficult circumstances. When you don’t quite get your weight over one of your legs in midstance — let’s say your right — your gluteus medius needs to work quite hard to keep you from falling sideways to your left. It contracts powerfully, excessively in fact, in every gait cycle. Before long you experience it, and the connective tissue leading from it that creates the necessary leverage, as very tight. And after that comes pain. At the same time, your nervous system tries to fix the problem further by rotating your knee inward, underneath your center of gravity, since you haven’t brought your center of gravity to where your leg should be. You can keep trying to mitigate the consequences of the knee pain this movement pattern causes by putting a support under your arch to try to prevent the knee from rotating inwards and doing things to your IT band to loosen it up, but the former rarely works and the latter means you’re actually fighting what your body is trying to do to solve the problem of your weight being in the wrong place. No wonder these solutions aren’t terribly effective. The one thing that works is learning to shift your pelvis so your weight goes all the way over your right leg so your gluteus medius doesn’t need to overwork nor your knee turn inwards. This requires a movement of your pelvis and spine, and this brings us back to core stability and the more effective alternative, core action. Sometimes core stability exercise helps IT band syndrome by including a lot of strengthening work standing on one leg. The reason this works is neuromotor, not muscular: you’re learning to shift your weight all the way over the leg! Sometimes core stability exercise doesn’t help, in which case it’s because it’s focusing entirely on training you to hold your pelvis and midsection still, and this makes it more difficult, not less, to shift your weight over your right leg. Here’s a somewhat exaggerated video of what the core action looks like. It makes running much easier and smoother in addition to relieving stress on the IT bands. This movement is so important that I’ve made sure to teach it to every client, in every workshop, in every online programme and recorded lesson I’ve ever created. The key factor needed to really get over IT band problems is changing how you move, and in particular how you move your pelvis and torso. For this you don’t necessarily need lengthy rehab and rest, you just need to learn how to do it, and that doesn’t have to take a long time. It’s quite possible and even common for runners who learn how to do the movements of the core to have their IT band problems go away in one day. As soon as your weight is in the right place over your leg, everything gets better. Incomplete transfer of weight onto the mid-stanced foot! What I see is an oversight by doctors and PTs of the quality of the client’s gait pattern, which is worsen by the idea that we walk with our legs. All that I hear PTs insist on when teaching gait is “heel to toe” pattern. I have seen many people rid themselves, in a matter of minutes, of the pain once they have experienced what I like to call “the sweet spot” or standing directly and effectively over the bones, in this case in single leg stance. Then, of course the client needs to be guided in integrating that feeling into their walking. I find first of all, manual work in supine is most important in alerting the nervous system to the feeling of effective weight bearing through the kinetic chain. You call it Feldenkrais, I call it ABM. : ) Quite similar being that ABM IS based on the teachings of the great Moshe Feldenkrais. I am no running expert but I see the same issue with my running clients. I always direct them to your website, by the way! Superb, Mauricio. Thanks very much for this clear description. I love the idea of the “sweet spot” you mention, that’s a good way of naming it. I’ll use it with my walking clients if you don’t mind. Thanks for this blog post. I had recovered from ITBS once using Feldenkrais before I found the CAP, and now that I am back at running after 6 months of injury, it has returned. I have been going to a PT (ugh) and he wanted me to do orthotics, etc, and I just didn’t feel right about it. I was wondering how I wanted to proceed with my healing and treatment. Your post came at the right time to affirm what I know to be true…those are not real fixes of the underlying problem, and I need to go back to my underlying form and correct my brain, to correct my run! Thank you! You are the best! I am so excited for this campaign, and hope it gets fully funded for you! Very glad to hear you’re back to running, Lisa! Go back and do your lessons from the online camp and see how you are. If it isn’t better, email me. I am 53 years old, never had any problems with IT band until I went on a extra long hike. I can’t get rid of it now, it aches 24-7, really bad at nights sometimes. Any fatigue causes it to flair up. My body is extremely tight all over, my hips, etc. It always has been even in my youth. I stretch the best I can and seem to be getting more flexible but it doesn’t seem to help. How do I learn how to walk more efficiently? Is there exercises or videos? Sorry to hear about your IT band, Paul. 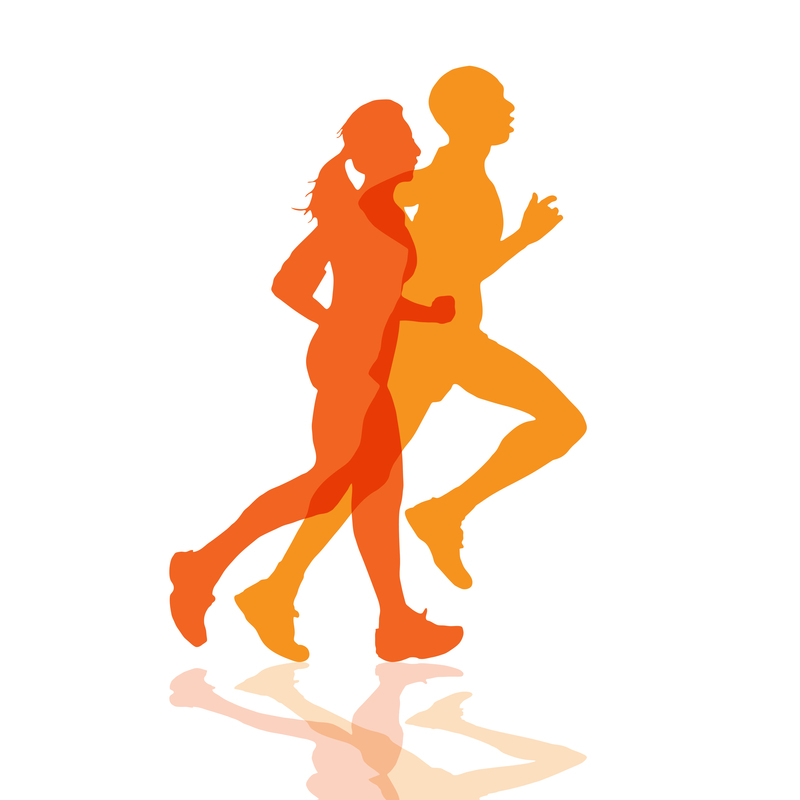 Many of the lessons I offer for running also help walking, as long as you bear in mind that while running is done with a forward lean, you stay upright for walking. I have a blog post about walking, use the search function on my site to look for it. Also two of the free lessons on my home page — the Core one and the Footstrike one — will work for walking as well as running (just ignore what I say during the running at the beginning and the end, and instead walk around and see how your walking feels). If you have a local Feldenkrais practitioner or Bones for Life teacher I recommend you go, that will be your best bet. I hope that helps, let me know if you have any more questions. This is super intriguing. I’ve been suffering with IT pain in my right leg for over 2 years now. I’ve tried everything. I feel like I roll/stretch/mobilize/strengthen more than I actually run :-/ One of the things I’ve noticed recently is that my hips seem to always be rotated. My right hip always seems to be “leading” or forward of my left. And now that I’ve read your post I notice that that pelvic position puts my weight perfectly over my left leg…but not at all on my right. I will definitely use this as a mental focus moving forward. Thank you. I’ve been stretching, strengthing, and foam rolling for months with no relief! So if my left IT band is in pain… I should shift my weight farther to my left? Thanks for writing this post! Ashton, don’t intentionally try to shift your weight any particular direction. If your weight shift isn’t naturally even, you need to go through a learning process to discover exactly where and how to change what you’re doing, as much of your body is involved and you need to make the changes in the right places for you. Please follow my advice in the post and do the lessons I recommend! Best of luck to you. I sprained my left knee running down some stairs back in November. Went to PT and was told I need to strengthen my glutes/hips etc. Started doing the exercises and my left knee has felt much better since. However, in the process of doing the exercises, I developed IT band pain around my RIGHT knee. The pain isn’t seeming to go away and is aggravated by the exercises and the bike. I’m new to this idea of core movement, weight distribution and could use some guidance. Try the lessons I link to at the bottom of the post, Stanley! They should help. Thank you very much for this. I have been suffering from IT band, Knee pain, and TFL overload for at least 8 years. I recently began making some headway that has allowed my left hip to open up some. I’ve noticed my hips moving more over my troubled leg but until reading this I realized I have not been nurturing that new movement. I can’t wait to bring this new focus into my next run. In case you read this- I am more of a cyclist and am unsure if I am supposed to have that rotational hip movement on the bike. If anyone can offer some advice on this I would greatly appreciate it. That’s a great question, Chris, and unfortunately one I don’t know how to answer, as I really don’t know anything about cycling. The rule of thumb is that if it improves your speed and/or endurance without raising your heart rate, it’s good.